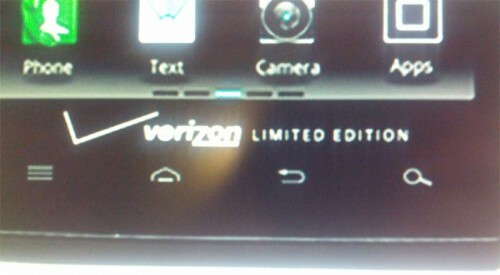 Last night, a reader noticed that a limited edition RAZR MAXX was up for sale on eBay. With an opening bid price of $750 and a “Buy it now” price of $2250, no one would actually bite on this, would they? Unfortunately someone did. The auction is now closed and with it, a RAZR MAXX that will likely be useless assuming the winning bidder isn’t a Verizon employee. According to a couple of sources, VZW is planning to lock the ESNs (electronic serial number) for these devices to employee accounts only. So if you try to buy one off of eBay or an employee looking to strike it rich, you likely will never be able to activate it. This isn’t uncommon for Big Red to limit devices by ESN whether it’s to employees or the public. So as a warning, if you see these start to pop up on Craigslist or eBay, you may want to look the other way.